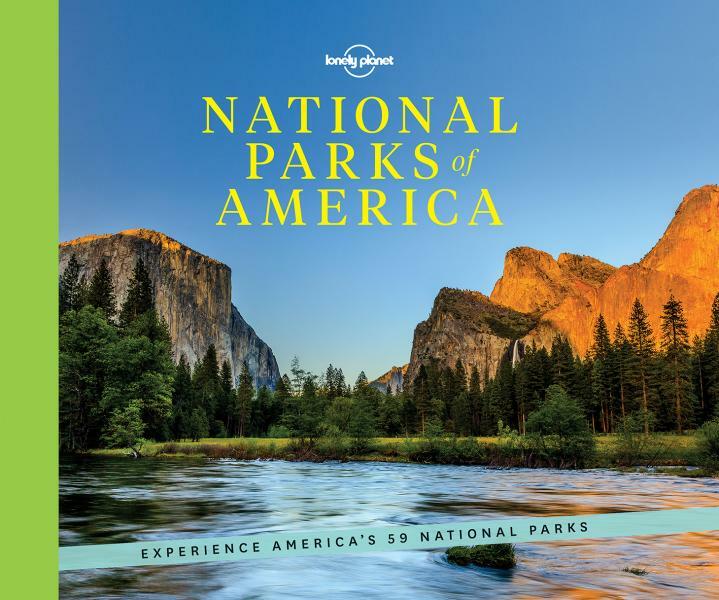 Explore all 59 of America''s National Parks with this inspirational coffee table book. Beautiful landscape photography and wildlife illustrations will wow readers. Practical ideas on where to stay and what to do help readers plan visits, and detailed itineraries make it easy. A wonderful introduction to America''s National Parks for all the family. To celebrate America''s amazing national parks, Lonely Planet, the world''s leading travel publisher, takes you on an informative and gorgeous tour of all 59 parks with our lavishly finished hardcover gift guide packed with detailed itineraries and practical tips on what to do and see in each park to get you started planning your next adventure. America''s national parks are full of timeless marvels that still rejuvenate the soul: the world''s largest trees in Sequoia; its most spectacular geothermal site in Yellowstone; the grandest canyon. Perhaps the movement''s most eloquent description that is still resonates came from national parks advocate John Muir: ''Thousands of tired, nerve-shaken, over-civilized people are beginning to find out that going to the mountains is going home; that wildness is a necessity...'' Fortunately for the nerve-shaken, over-civilized people of then and now, President Woodrow Wilson created the National Parks Service (NPS) on August 25, 1916, though the drive to protect some of America''s most remarkable wild spaces, to be ''used and preserved for the benefit of mankind'', began in the 1860s. From Acadia to Zion, this beautiful introduction to America''s preserved natural treasures is packed with landscape photography, original wildlife illustrations, and practical information. You will surely be inspired to rediscover these incredible spaces and find out why they''re worth celebrating and you''ll have all the tools to plan the first of many exciting trips. This book is intended to be a practical introduction to each of America''s 59 national parks, distilled by Lonely Planet''s expert authors. We highlight the best activities and trails, explain how to get there and where to stay, show you the wildlife to watch out for, and suggest ideal itineraries. Whether you''re lucky enough to have a park on your doorstep or need to travel further, we hope that the following pages inspire you both the iconic and lesser-known gems that make up the USA''s diversely breathtaking expanses. Covers all 59 US National Parks: * Acadia　* American Samoa　* Arches　* Badlands　* Big Bend　* Biscayne　* Black Canyon of the Gunnison　* Bryce Canyon Canyonlands　* Capitol Reef　* Carlsbad Caverns　* Channel Islands　* Congaree　* Crater Lake　* Cuyahoga Valley　* Death Valley　* Denali　* Dry Tortugas　* Everglades　* Gates of the Arctic　* Glacier　* Glacier Bay　* Grand Canyon　* Grand Teton　* Great Basin　* Great Sand Dunes　* Great Smoky Mountains　* Guadalupe　* Mountains　* Haleakal? * Hawaii Volcanoes　* Hot Springs　* Isle Royale　* Joshua Tree　* Katmai　* Kenai Fjords　* Kings Canyon　* Kobuk Valley　* Lake Clark　* Lassen Volcanic　* Mammoth Cave　* Mesa Verde　* Mt Rainier　* North Cascades　* Olympic　* Petrified Forest　* Pinnacles　* Redwood　* Rocky Mountain　* Saguaro　* Sequoia　* Shenandoah　* Theodore Roosevelt　* Virgin Islands　* Voyageurs　* Wind Cave　* Wrangell-St Elias　* Yellowstone　* Yosemite　* Zion　About Lonely Planet: Started in 1973, Lonely Planet has become the world''s leading travel guide publisher with guidebooks to every destination on the planet, as well as an award-winning website, a suite of mobile and digital travel products, and a dedicated traveller community. Lonely Planet''s mission is to enable curious travellers to experience the world and to truly get to the heart of the places they find themselves in.